I own a few microteeth which are said to be from the Bull Canyon Formation of San Miguel County, New Mexico. I have tried to find a scientific paper on the Bull Canyon Formation locations of San Miguel county, but I can only find Garita Creek Formation locations. Does anyone know where in San Miguel County all those micro teeth come from? Is it really Bull Canyon Formation or another formation? Not sure lots been published on micro teeth you may want to check the bulletins from the New Mexico Museum of Natural History digital collection's. You may also want to research the Chinle Group which includes the Bull Canyon Fm. and may have more published, teeth should be similar. And check out this publication. 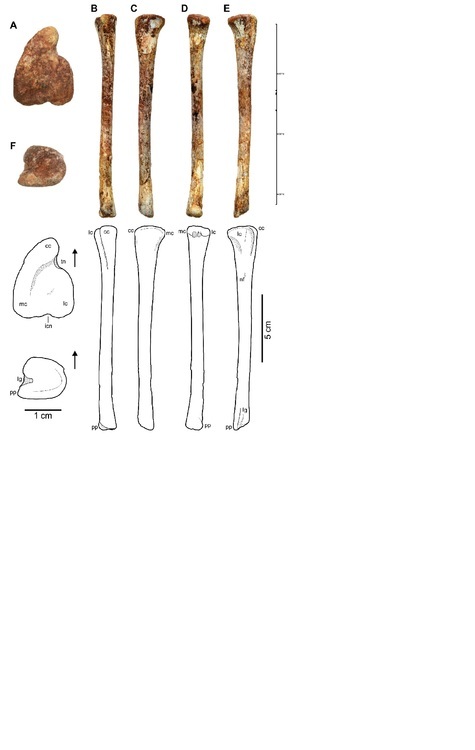 Thanks for the quick answer, now I know that it is at least possible that the teeth came from San Miguel County. Unfortunately Kieran Davis does not respond to my emails on where they were found, so probably I will never know. Is this still the current thought or has this been dismissed/finetuned? I am trying to date my fossils from the Colorado city formation (otis chalk), Bull Canyon Formation and Redonda Formation. You may enjoy looking at this site and comparing its pictured offerings with the teeth you have. I was not sure if you were looking for ID or were strictly interested in location. I think that's who obtained his material from and is trying to get his email answered from. You should keep after Kieran he's a good supplier and pretty reliable. I'm not that familiar with Triassic material so I cannot help you with your last question. Yeah I know the website, the teeth came from him but I am not sure if those ID's are correct. There is no mention of Vancleavea, while Fabrosaurus is mentioned although that is a Jurassic dinosaur, so that website needs to be updated. And thanks to Troodon and Doushantuo. That last paper seems to represent the old thought of the age of the age correlations of the LVF's (land-vertebrate faunachrons), although it is from 2007, which is pretty recent. I have found several papers from 2013 and 2016 mentioning the new version (with the absence of the Carnian stage), but also the old view is still sometimes maintained, as a paper from 2015 shows. Since I am not a researcher in this field, I don't know whether the new one is a radical thought, or actually the correct age of these layers, while just a few researchers cling on to the old version. Is there perhaps someone here who is on the inside of this debate who can explain the situation? hahaha als jij lid bent van die Werkgroep Muschelkalk Winterswijk heb je nog kans om binnen te komen daar, anders is het niet meer mogelijk tegenwoordig, helaas. interest in the triassic is recent thing for me. Yes, I see the same in my collection, the triassic part is growing exponential, it is a very interesting time! you got early dinosaurs, temnospodyls, phytosaurs, early plesisoaurs, ichthyosaurs etc. most of these genuses would "take over the world" in the jurassic but were not yet on the top in the triassic yet, while the other were "reigning" since the permian and went extinct on the end of the triassic, it really is a changing world with familiar animals and very strange ones living together. Google Translate helped translate the conversation in Dutch between sander and doushantuo. See: https://translate.google.com My big question is what is happening in Winterswijk? doushantuo: I'll see you in Winterswijk. sander: Hahaha if you are a member of the Werkgroep Muschelkalk Winterswijk you have the chance to get in there, otherwise it is no longer possible today, unfortunately. Hunt, A.P. (2001). The vertebrate fauna, biostratigraphy and biochronology of the the type Revueltian land vertebrate faunachron, Bull Canyon Formation (Upper Triassic), east-central New Mexico. 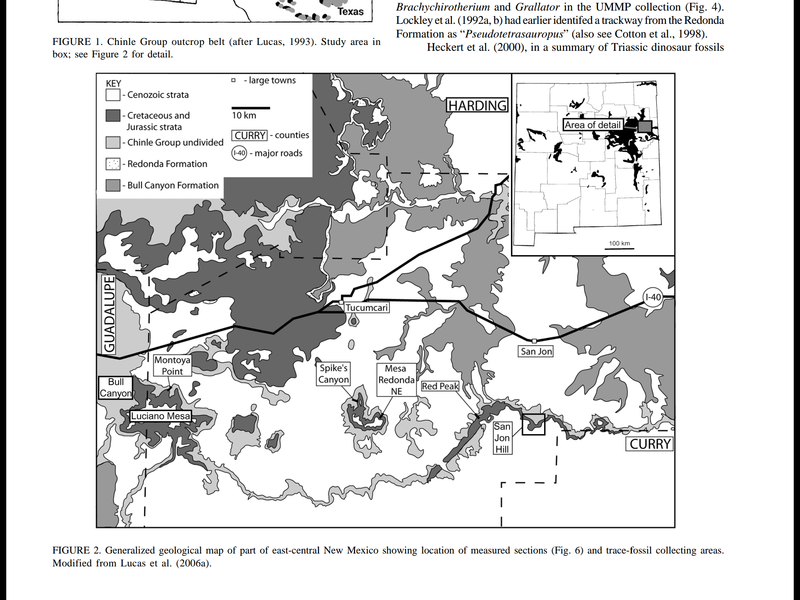 In: Geology of Llano Estacado. Lucas, S.G. and D. Ulmer-Scholle (eds. ), New Mexico Museum of Natural History and Science 52nd Annual Fall Field Conference Guidebook. Near the place of Winterswijk is a quarry which is the only locality in my country where Triassic fossils could be found. The exact age of those layers is Bithynian, and with some luck you could find Nothosaurus and Anarosaurus bones or rhynchosaurus footprints (other fossils could be foudn as well with even more luck). Been there 5/6 times and only on 2 occasions did I find bones. The site could be accessed on 1 saturday a month, for I believe 7 months a year, closing down in the late autumn/winter and opening in the spring again. However, last year the quarry was closed down, and now it has reopened again, the acces is even more limited than it used to be. you now have to be member of a workgroup. Yes I have come across that one indeed, but thanks for the effort. There are a couple of articles that at least mention Bull Canyon Formation fossils in Bulletin 21 from the New Mexico Museum of Natural History & Science (including the description of Reticulodus synergus, a hybodont shark). It's a volume on Upper Triassic Stratigraphy and Paleontology. For anyone interested in the Triassic, I think this one is worth owning.